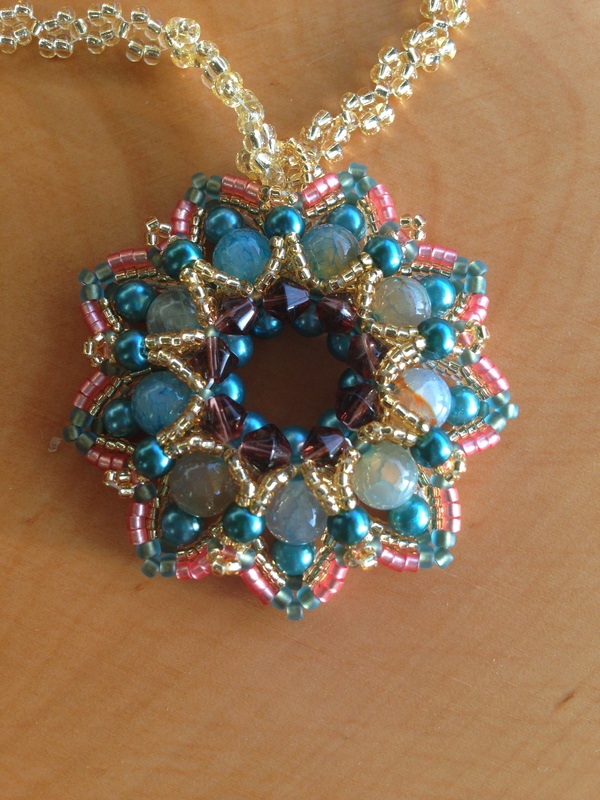 I was messing about on YouTube the other day, actually looking for crochet ideas, when I came across beaded pendants. I don’t know about you, but I can spend hours of my life on YouTube… one thing always seems to lead to another and before I know it the day is gone and I’m looking at things I hadn’t even thought of when I started my search. In a happy turn of events, that day’s massive YouTube session turned up this video tutorial by TheHeartBeading for this gorgeous Elda Pendant on here (part 1) and here (part 2) and had to try it out. 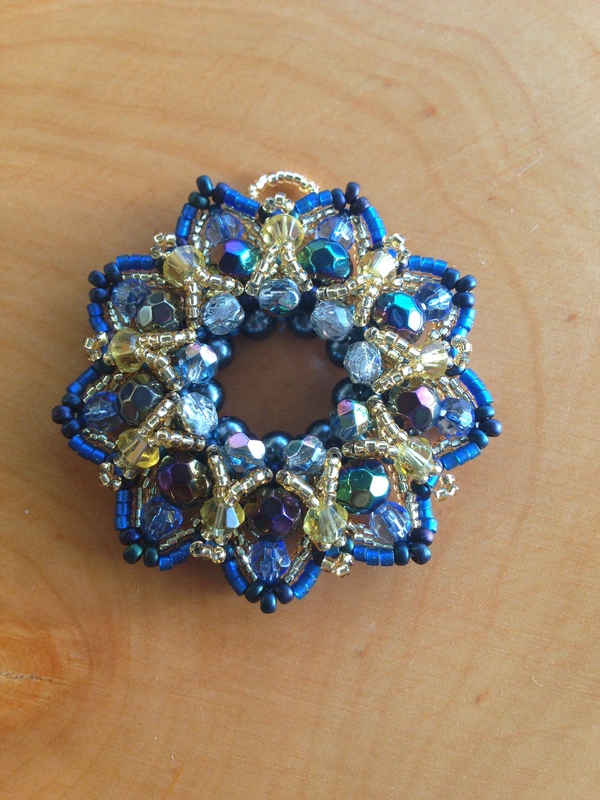 It’s my first attempt at a ‘proper’ beaded pendant and to be honest, I loved the result so much I made two! These are stunning and not as difficult as they look. In fact, the hardest part for me was raiding my bead stash to find beads that were the right size and colour combo for these to work. I made a simple RAW necklace for the lighter, peachy, pendant and want to make something for the blue one too but I’m still messing about with necklace ideas to compliment it. I want something different to the RAW chain I already made, which I like, but variety is the spice of life! Or so they say… whomever they are. Let me know if you have a go at these, would love to see how yours turn out!